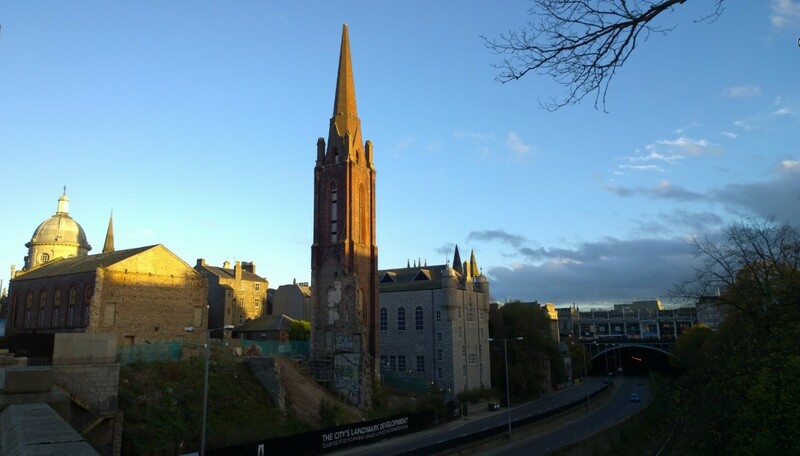 A 'Pock Mark' award for worst planning decision was handed to Edinburgh City Council for demolition of the B-listed Scottish Provident Building on St Andrews Square. Glenday remarked: "Demolition of the Scottish Provident building is a tragedy borne out of farce, that makes a mockery of the listing process. The ‘will they won’t they’ guessing game as to whether the façade would ever be retained saw planners played by developers whose pursuit of financial imperatives has cost Edinburgh one of its landmark modern buildings." Edinburgh Airport's recently completed eastern terminal expansion meanwhile netted a 'Zit' accolade for Scotland’s worst building. Glenday observed: "Design standards set by Edinburgh Airport's aircraft control tower haven’t extended to the latest ‘East’ expansion of the terminal, a utilitarian block that is less a national gateway in the vein of Madrid’s Barajas Airport and more Livingston business park. It is illustrative of a paucity of design ambition at what should be Scotland’s gateway to the world." Morning campers. The appearance and language of the community health and care 'village' is fascinating. It clearly owes as much to being village-like as Guantanamo detention camp is to Butlins. If art reflects society, then from the evidence of this image, this is a society, which at its core is motivated by fear. 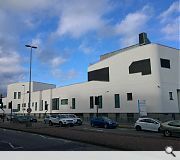 Ironically, in the foreground of the building on the dual-carriageway is the main sub-conscious design influence for this building's appearance - a white SUV of whatever make and model. It is no accident that this vehicle is modelled on George Lucas' plastiformed Star Wars Stormtrooper. The SUV's tinted glass windows are akin to their tinted glass visors. This car is a Stormtrooper. It says - Get out of its way, or it'll kill you. Hostile, violent and fear-inducing. Such is neo-liberalism. Such is the non-linguistic language 'architects' unwittingly employ, mirroring back at society, what it produces, namely - Fear. Call it by its name. This has sweet FA to do with plooks or 'aesthetics'. It's more serious than that. Have a nice day, and be careful out there. Hi-de-hi. What? Why in damnation has Aberdeen won this award? 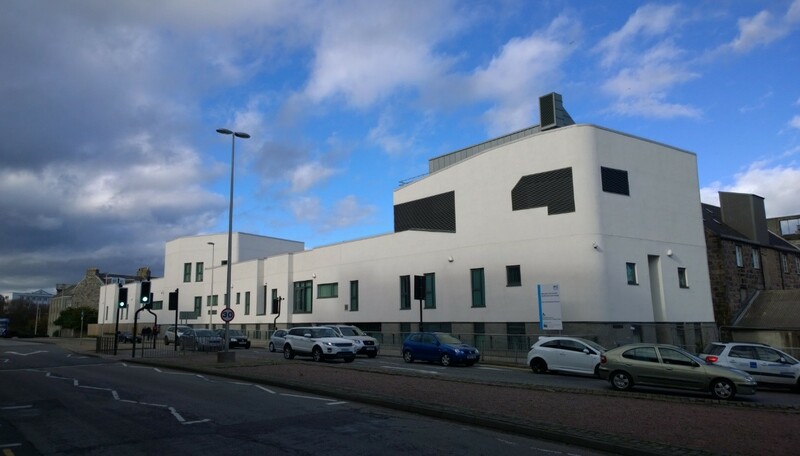 Aberdeen is a striking, sombre jewel that is only accentuated by these crisp, white rendered, glass and steel unique buildings that have been sensitively placed without any contextual awareness. In walking from the ensemble of new behemoths at the hospital, through the rich granite heritage of the west end (just crying out for more bold extensions with black reflective glass facades I think) onto Union Street and it's surrounds I am amazed at the quality of the buildings. I simply cannot believe that Aberdeen, with it's history of successful entrepreneurship, a thriving oil economy and a responsible Local Authority deserves such award. I cannot fathom why Aberdeen, with it's world class beach facilities and a thriving harbour has been nominated. I am in awe at why Aberdeen with a bridged granite mile of excellent shops (Poundland, Poundstretcher, William Hills etc.) supplemented by small, independent, covered shopping malls which offer the best in independent cuisine and films (Union Square, Bon Accord Centre etc.) has won. I am shaking my head in disbelief. PS: It is a widely held belief that Stormtroopers had terrible aim. Will Halliday Fraser Munro be collecting the award in person or will they send one of their representatives from the City Council? I would like to add to the many awful planning decisions Aberdeen council have made by mentioning the horrendously ugly and out of place flats built on Elmbank Terrace. They stand alone in their precarious position backing onto a railway line, as passers-by ask who in God's name thought they were a good idea. The area is blighted by this monstrosity and surely there is no need for further student accommodation in an area that is already overcrowded with students to the detriment of families needing suitable accommodation. Even more student accommodation is planned for a site close by. Some people commenting on this website have far too much time on their hands. This is not the award you are looking for. This has been coming for a while. The only surprising thing is that someone from Urban Realm is aware of life outside the central belt. I presume the "award" will be presented from their desk in Glasgow. All very funny if it wasn't so tragically true. Let the locally based bus company (probably First) collect the award for sounding out probably more than 1 city (Glasgow as a serviced example) with several buses that sound like jets when trying to struggle forward on flat or downhill roads. Mind you, sometimes a shoal of cars with modified exhausts or un-muffled resonators, or whatever, never the genuinely powerful cars that are silent by comparison, are always at hand to supplement their noise siege on their own country’s largest city; and mind you again, maybe too many shareholders or free-riders in Glasgow for the city to complain about it. Between Aberdeen oil tax and the nuclear deterrent budget nearby, and the NHS’ biggest hospital, old firm, etc. why can’t Glasgow with its pal Aberdeen afford a quieter bus service befitting of where the Industrial Revolution took off, yes in Glasgow. James Watt must be turning in his grave with the new noises craze as might an oil industry vis-a-vis such unnecessary noise and waste of petrol. A moral NHS should perhaps lobby against the certain high asthma and heart attack rates that will be involved with such deliberated noise abuse (not pollution), which might include the growing phenomena of uncontrolled revving when stationary or on the go, speed-brake-driving to react against the bore/politics of a city speed limit or traffic lighted area, and present day exhaust resonance being too silent/silenced for the liking of those who must modify it to feel the noise and/or vibration so that it impacts on the peace of the district/s to which they like to congregate through. It’s a large minority that are winning – but good to see that some of the smaller minorities have turned new leafs that can make a difference, like the newer [e.g. Biffa among other independent] industrial bin lorries that can sound as quite as an unmodified mini (without a modified exhaust or whatever). First Bus can do the same to help beautiful cities sound as well as look good. There’s definitely a curse against civility at the moment, and none more cursing than the buses that howl, hiss and roar amongst the congregating car and van drivers etc. who demand their exhausts be modified to play their own part in the curse or spell. Some good ‘vehicle-noise-limits’ guidance at gov website; and ‘cars-and-noise’ notes at the vca website. BBC News - Air pollution in Scotland 'creating public health crisis' from last couple of months. Ps Song of the day is “I’m going slightly mad” if I’m not stark raving bonkers already. Born in Aberdeen, raised in Essex and now living in Suffolk, only go back to Aberdeen to see family, I wouldn't call the Granite City a 'carbuncle', more like a nice place to commit suicide in!!! Kevin...no offence, but...whit? Have you ever came across the concept of self-editing? 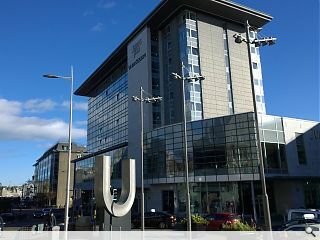 Clearly none of you have ever been in Aberdeen it is lovely compared to some of the shithole citys like Glasgow and Dundee. "Clearly none of you have ever been in Aberdeen it is lovely compared to some of the shithole citys like Glasgow and Dundee." Granted Aberdeen has some beautiful areas -- the stone built, traditional/classical architecture.It has a beach and a rugged beauty. But Aberdeen is also full of concrete modernist nightmares. And not just 1 or 2. But too many to count. It's also a city stuck in a time warp with little ambition, resting on its 'oil' wealth accolades which strangely, have contributed nothing meaningful to the built environment. I also think your condemnation of Dundee speaks of your inferiorty complex. 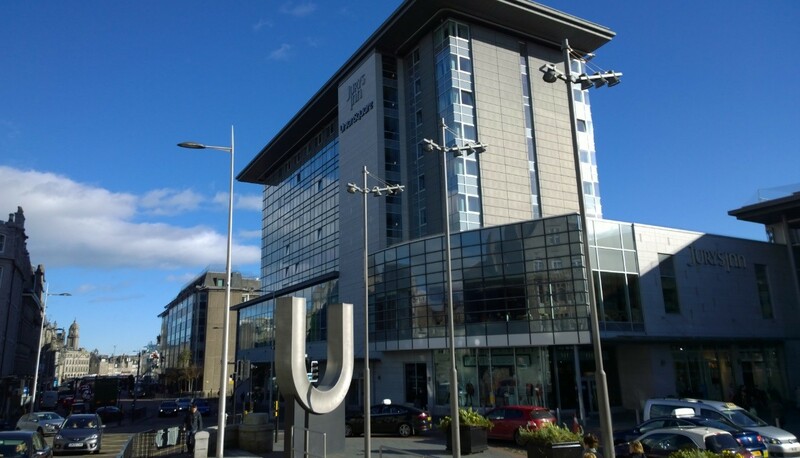 Dundee's status has risen, and crucially for Dundee, it has done this via its own hard work and not because it is associated with and natural resource called oil. 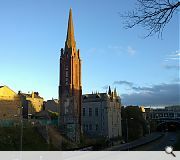 I want Aberdeen to flourish, but to do that requires Aberdonians to stop worshipping at the alter of concrete modernism and then moaning when people with functioning eyesight call a spade a spade, a carbuncle a carbucnle or in Aberdeen's case -- a cludgy reincarnated into urban granite form. #4 @Jimbo - spot on! Aberdeen City Council, and in particular their lacklustre planning department have no foresight nor is there any coordinated focus on what the city needs or should look like. It's all very well having the same local firm of archi-mafia carrying out 99% of the big headline work by simply half heartedly copying any given global scheme with no reflection on context, up until the point that the developer wishes to pay for it, but if there are no real guidelines for them to follow in the first place, who can you blame but the council for the crap that gets built. The planning department are so far lodged up their own tunnel of bureaucracy and dormer window guidelines that they fail to appreciate that what gets built remains there for decades and possibly *shudder* centuries. At last there is some media spotlight on them, as lately they have become totally guided and concerned by what Aberdeen Journals think, or the local and ever growing farm of nut-job objectionists, who object to their own shadow for not being made out of granite in a neo-gothic fashion, and seem to be wrapped up in their own self-importance to be bothered to know what the heck they are objecting to in the first place. About time the council rid themselves of the deadwood that floats through their doors with a planning department name badge every morning, and get in some (even partially) architecturally aware and passionate planning professionals who can drag us back in to some form of appreciable standing. Aberdeen is a joke when it comes to planning, more interested in getting the tight fisted developers to pay for a cycle path than sorting out the mess they are causing. I really hope this gives them, and indeed the whole city, the kick up the backsides they so sorely need. I feel slightly sorry for the current planners (but not entirely as they still infuriate me on an almost daily basis), as there is currently a process happening which is looking at how the city centre can be improved and developed through good urban design. This appears to be happening in a transparent and objective way. I attended the most recent exhibition/consultation and am looking forward to see what is presented in the next one as it should provide more detail. The council have enlisted the help of architectural professionals, BDP, which should hopefully provide a design lead approach as #18 is looking for within the planning department. The council also have a design review board which meet to discuss various applications and provide their input as design professionals. Which applications and how much weight is given to the input is up for debate, but I believe it shows progression in the planning department and a willingness to embrace design input from those with specific design training and experience. I initially agreed that this award may be a well needed kick up the backside for the council, 'lazy' developers (& their architects) and the dour-faced objectors, but I fear that being crowned "Scotland's Most Dismal Place" is not something that can be shook off easily. It may be less inspirational and more detrimental to a city currently in the shadow of a crisis in it's main industry. I think the planning department need to continue to do those two things: engage with design professionals in a constructive way and not rely on their own in-house opinions; and hold steady with the masterplanning process they have started, rise above this derisory and divisive award. My follow up comment of yesterday 5/2/15 was deemed “off topic” by UR. I beg to differ on what the ‘dismal’ that wins urban review magazine awards is all about – it’s not merely about the aesthetics as lorded over by this magazine, but I shall nonetheless try to rewrite my response if possible into aesthetic terms. Probably a near impossible task that I shall try out later! Meanwhile, please do not restrict this comment too: freedom of the press should be promoted by mags operating under : they shouldn’t captivate it. "The council have enlisted the help of architectural professionals, BDP".... well that doesn't exactly inspire confidence. The big corporate firms are at the vanguard of creating much of the insipid, placeless, catalogue-specified, cheap dross that undermines our profession and our cities. If only you'd said Olgiati/Zumthor/Paulo David/Fretton/Chipperfield/von Elrichausen/Carusos/Beigel...etc. @18, 19 and 21 - Poor old planners. Damned if they do, damned if they don't. One minute architects are complaining they're too picky and not approving enough, then when their creations are built and they look horrible, it's the planners fault for permitting them to do so. Come on architects, shape up. This is not down to planners, clients, contractors or anyone else - we seem to be abandoning interesting, clever, appropriate design in favour of watering down and recycling whatever's in this week's Building Design. Aberdeen City and citizens continue to suffer the fate of being governed by a set of individuals who demonstrate their limited forethought and vision. The Marischal Square carbuncle is just the latest evidence of this. Unfortunately, this blight is not just confined to city planning. @22 - Architects will end up building as cheaply as they can, in whatever form the developer tells them they want to pay for. If the planner is happy to let it through then the precedent is set for the next application and the downward spiral continues. Not just commercial projects mind you, a lot of new private houses are built where the final result is either totally out of character with the local buildings, or does not even follow the approved design. Examples available on request! Planning policy is at fault for the majority, in my opinion, which is a shame as there as some genuinely talented and clued-up planners in there.